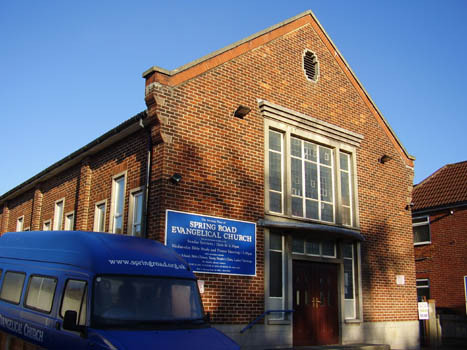 Welcome to www.springroad.org.uk, the homepage of Spring Road Evangelical Church. 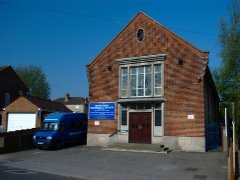 We are a reformed evangelical church and our meeting place is located in Sholing, Southampton, England. We believe that the Holy Bible is the Word of God and that God has especially revealed Himself through it. God speaks to us from the Bible. The Church has been in existence for just over 100 years. In all that time it has always declared the gospel of God's grace. Our current pastor is Mark Stocker. The membership of Spring Road is made up of a variety of ages and backgrounds. 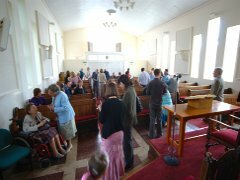 Our congregation includes children, teenagers and young families along with those who are of middle to older years. Most members live in the locality. 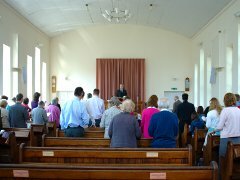 We meet twice on Sunday for worship at 11.00am and 6.30pm, we sing hymns, pray, and listen to God's Word. Services last about an hour. 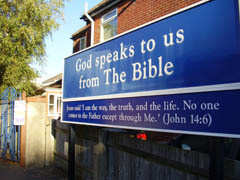 On Wednesdays at 7.45pm there is a Bible study and prayer meeting which lasts about an hour and a quarter. Why not come along? The Bible is our guide for life. We meet to hear it preached, so that we can learn more of God, and join with other Christians in worship and prayer.